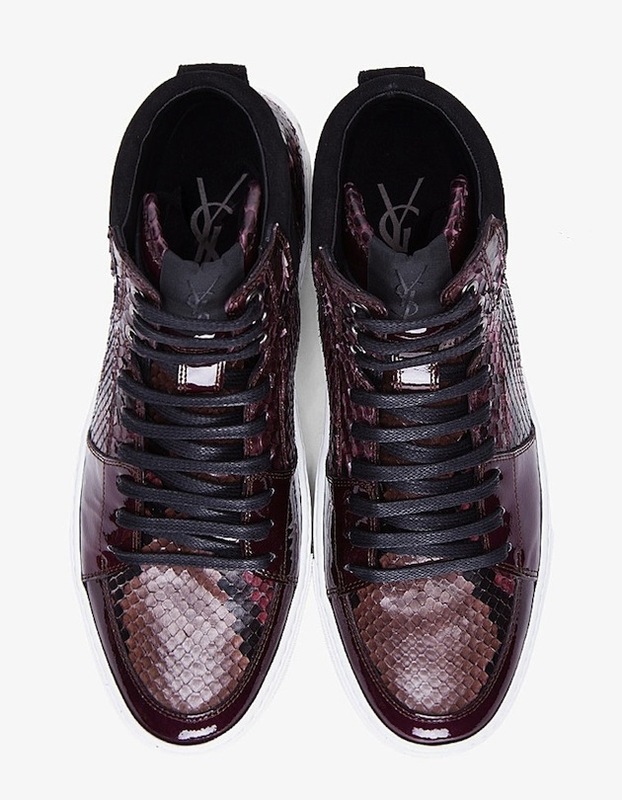 Check out the latest Yves Saint Laurent sneakers. 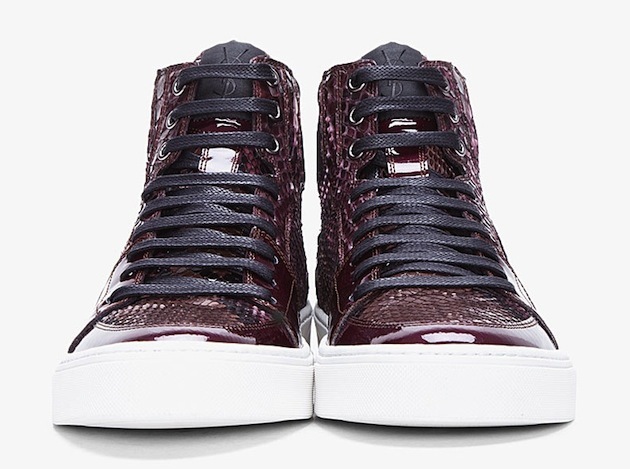 These are high-top python skin sneakers shown here in raspberry, although they are also available in colors black and brown. They have a round toe, black lace-up closure, gunmetal tone eyelets and a black logo tag at the tongue. They also feature a pull tab and black suede padding at the heel, a white rubber sole with textured foxing at the toe and heel ($895).